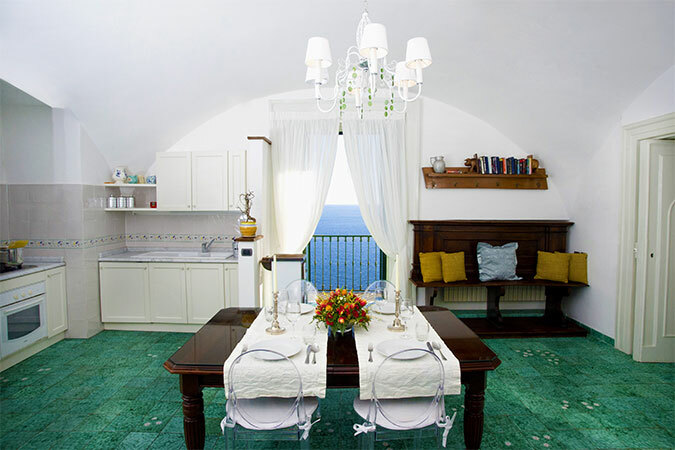 A fully-equipped, luxury holiday home with direct access to the sea, beach platform, and pool, Villa Principessa has 3 double bedrooms, each with its own private bathroom, a large living room with a stunning sea view, a spacious dining room with a fully equipped kitchen, an additional bathroom, and two private outdoor spaces with a view of the sea. 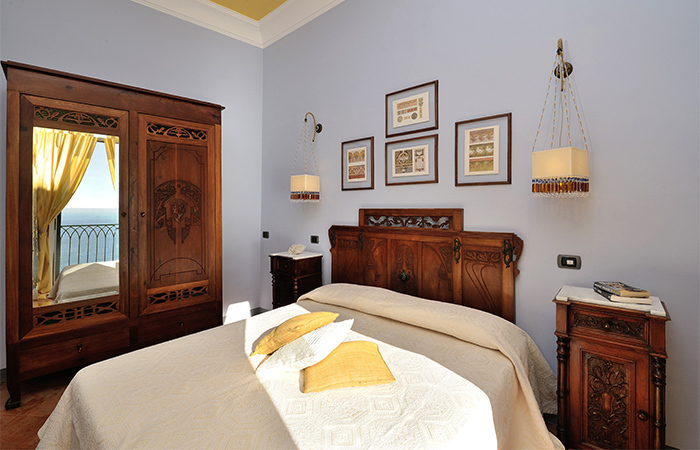 Beds can be one queen size or two separate twins in 2 of the 3 bedrooms. 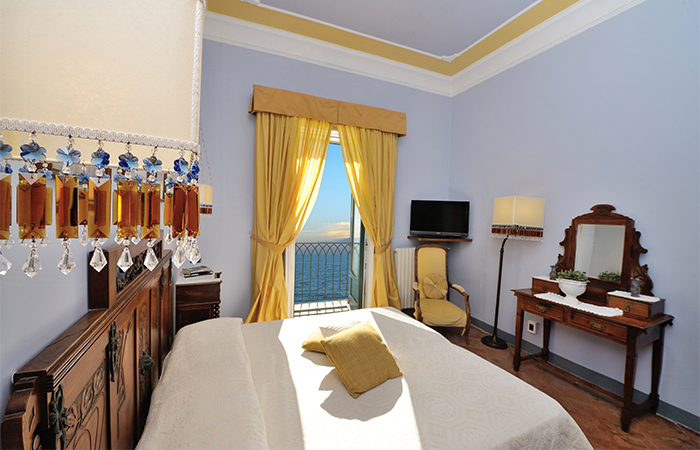 One of the bedrooms is large enough to accommodate an extra bed, which is available upon request. 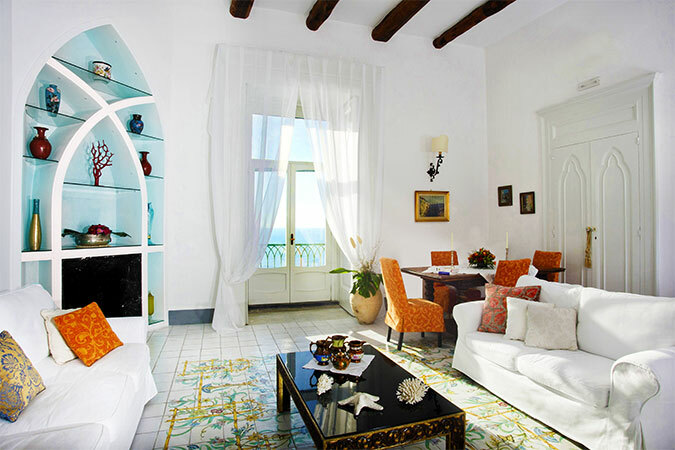 In both the living room and dining room, there is a comfortable double sofa bed. 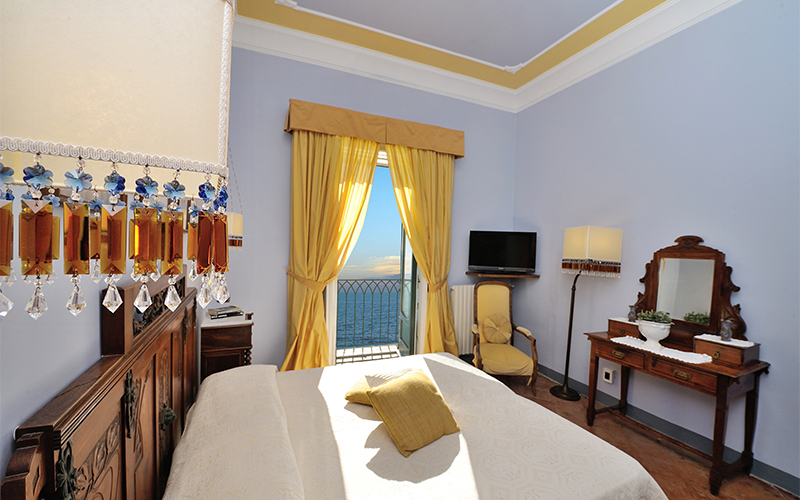 All rooms have either a balcony or terrace with lovely views of the sea. 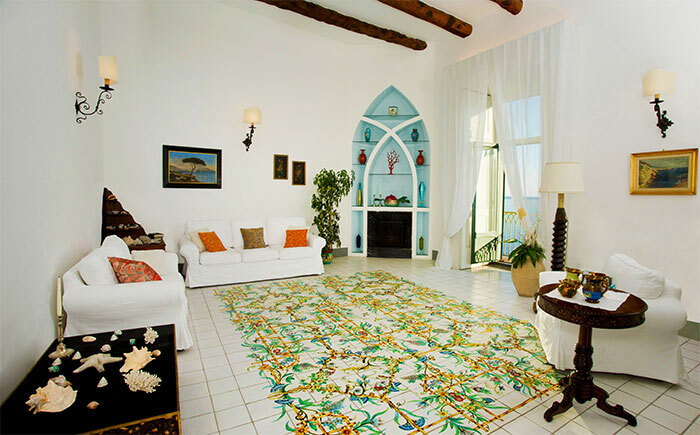 The villa is equipped with air conditioning/heating, a dishwasher, a washing machine and dryer and high speed internet access. 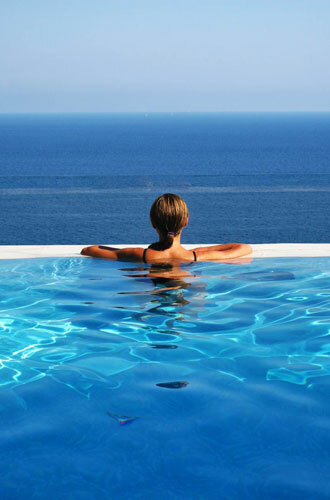 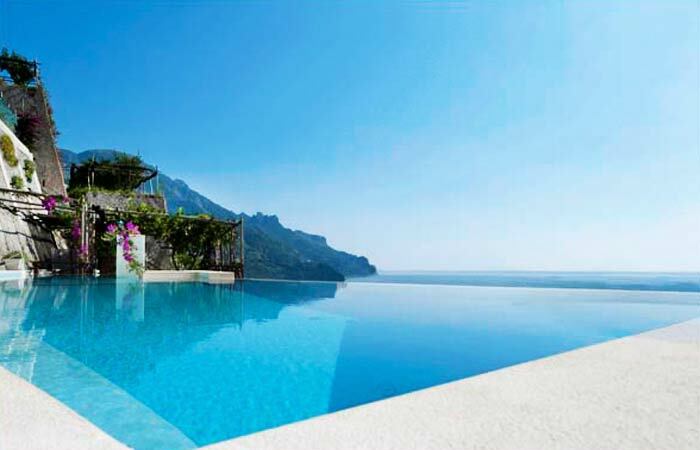 Along with direct access to the sea, guests staying at Villa Principessa also have access to the new "infinity" pool and solarium! 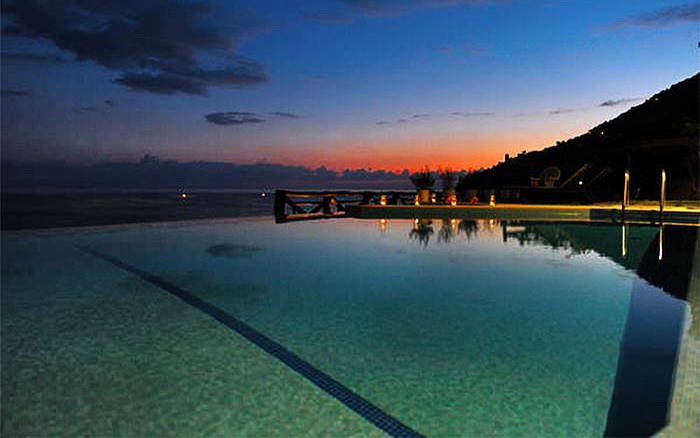 The pool is located across the street from the villa and just 70 steps from the road, and is shared with the other 5 villas in the complex. 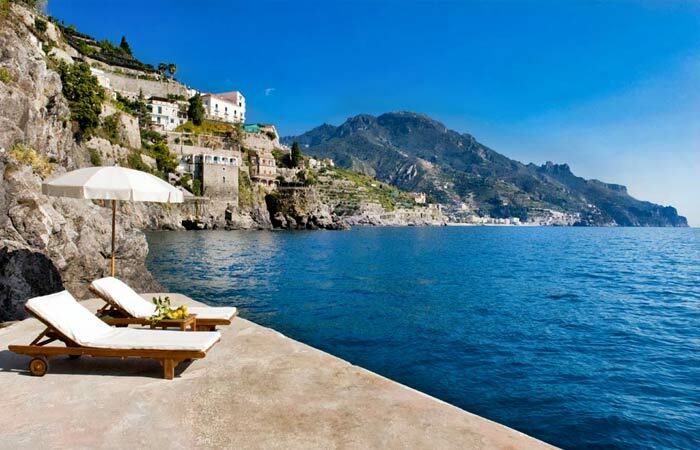 Each guest has his or her own sun lounger and towel. 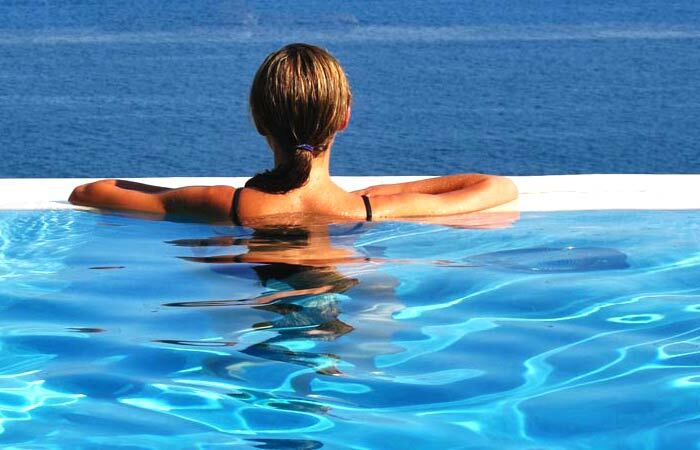 the pool is open from the beginning of March to the beginning of November (weather permitting) and is heated during the low/medium season. 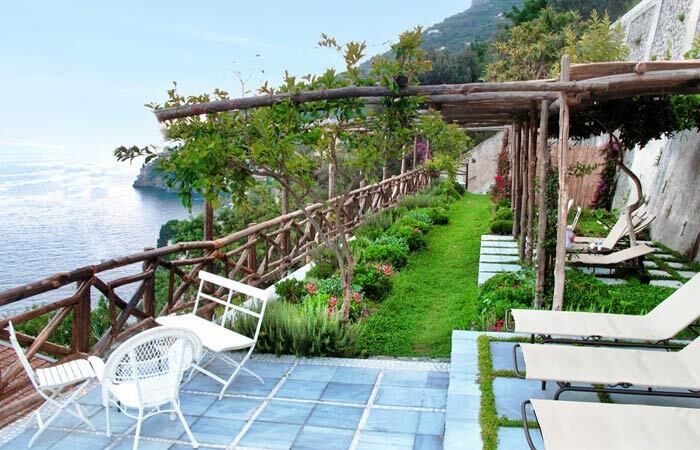 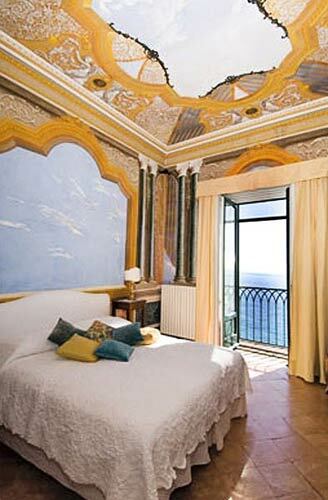 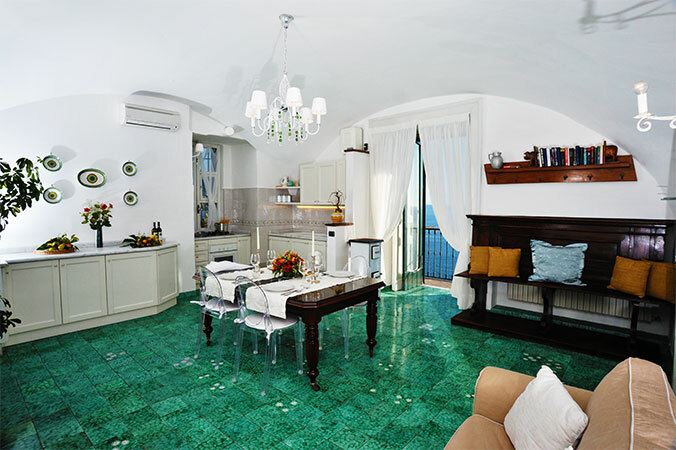 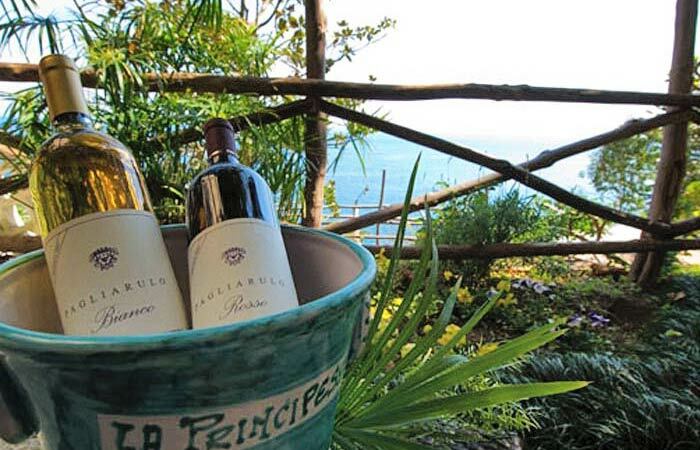 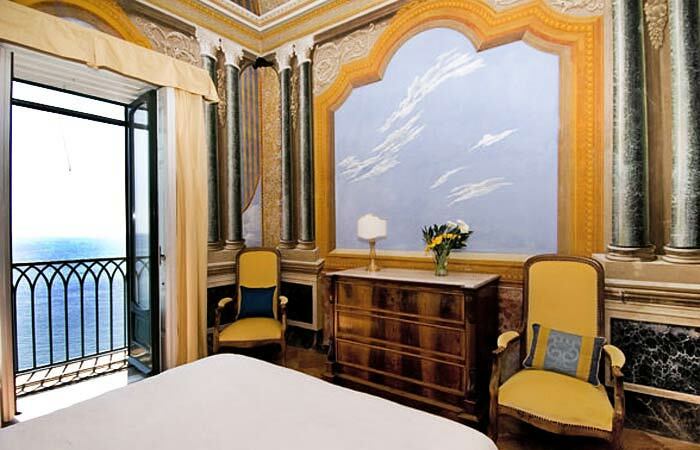 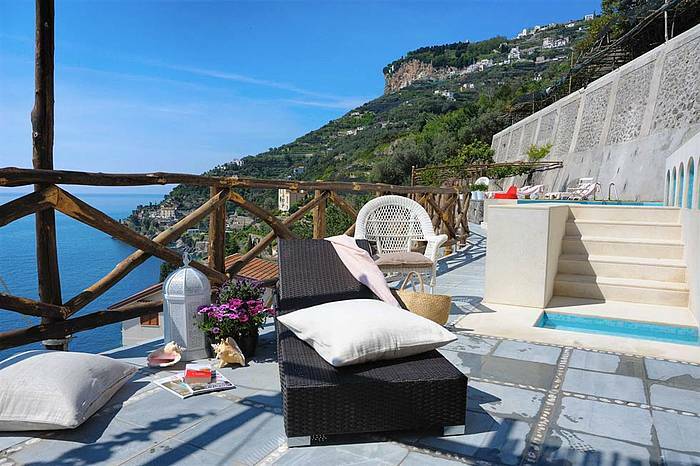 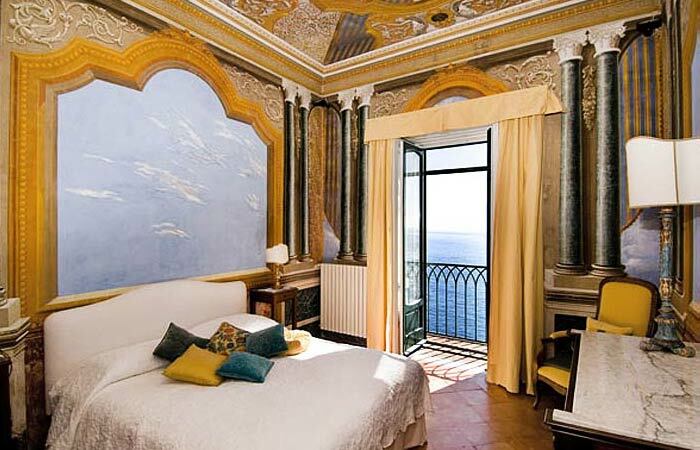 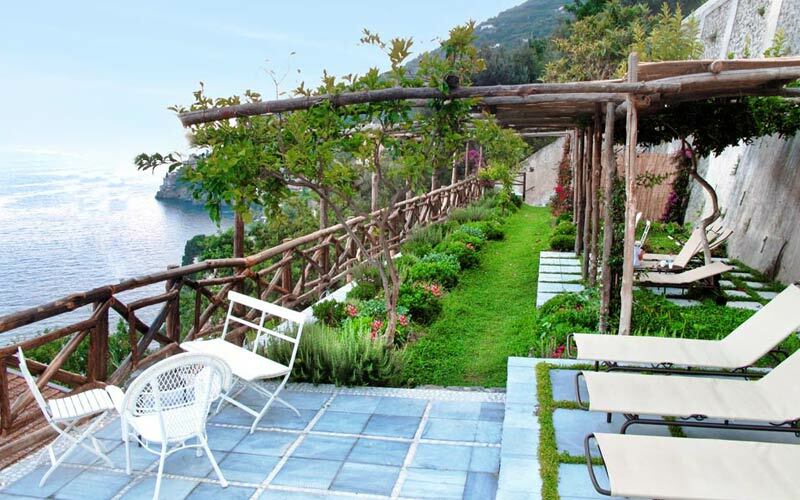 Villa Principessa is one of the finest villas in Ravello and on the whole of the Amalfi Coast. 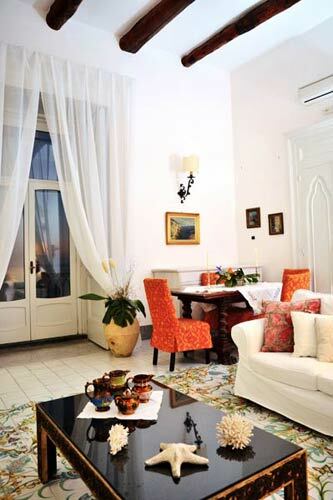 Despite having been completely renovated and equipped with every modern comfort, the villa still conserves much of its late eighteenth century charm. 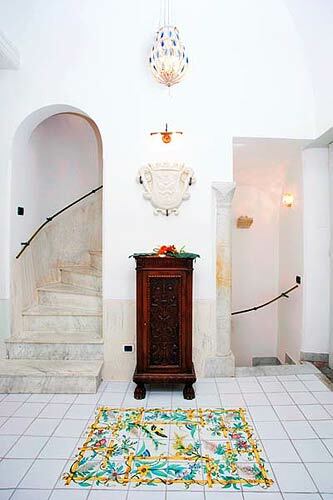 The entrance is on the street level; from here you enter a small entry hall which, on the left, opens onto the large and prestigiously furnished sitting-room and, on the right, the stairs which lead to the other two floors. 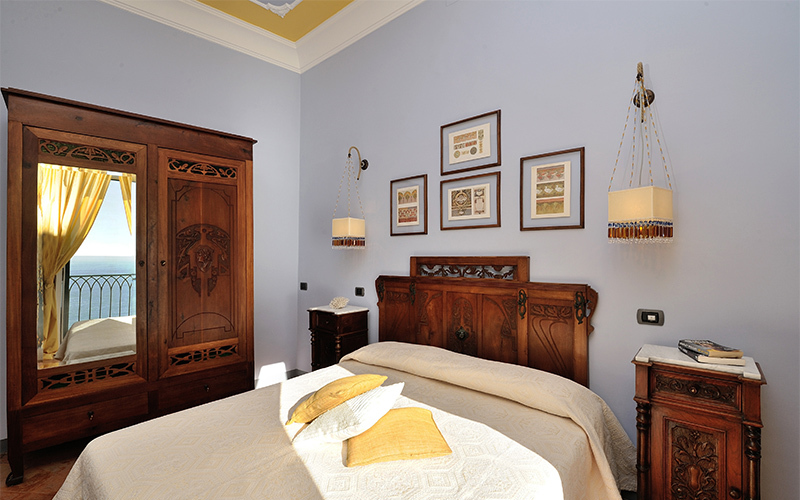 On the first floor, there are two bedrooms decorated with original period pieces. 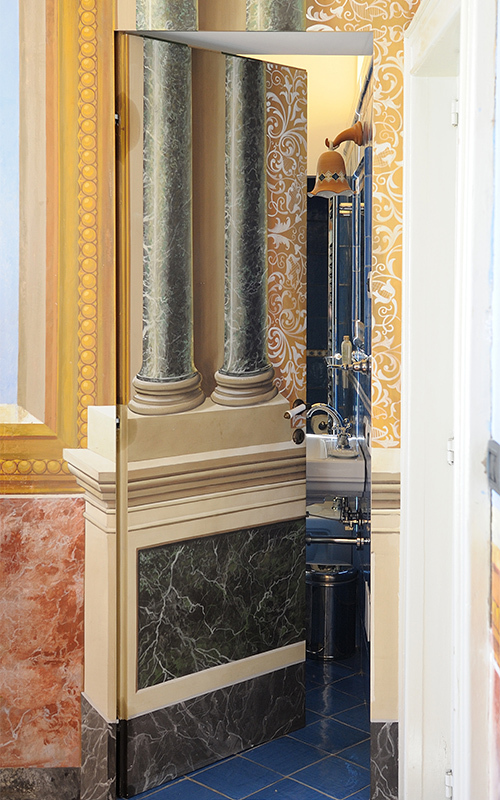 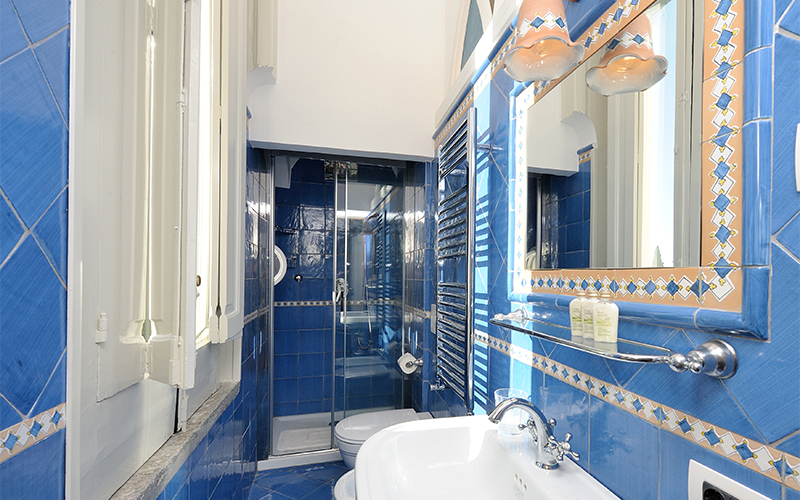 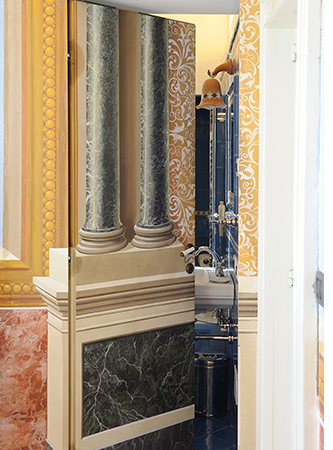 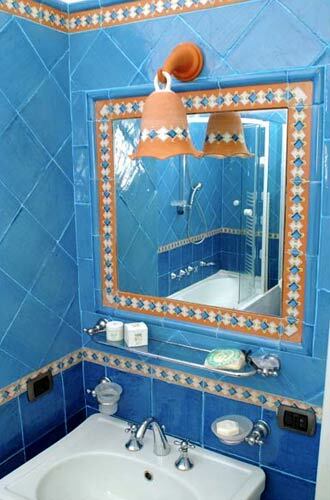 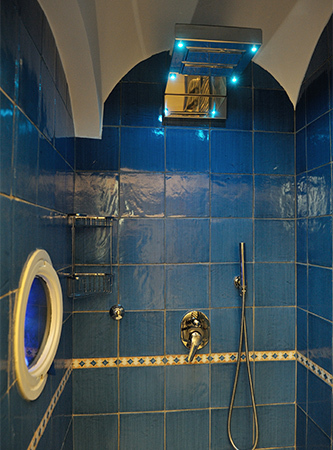 The first has an ensuite bathroom with chromotherapy shower and is completely frescoed. The second, finely and elegantly furnished, has its own adjoining bathroom with shower and Jacuzzi bath tub, embellished with the precious original glazed "cotto" tiles from Vietri. 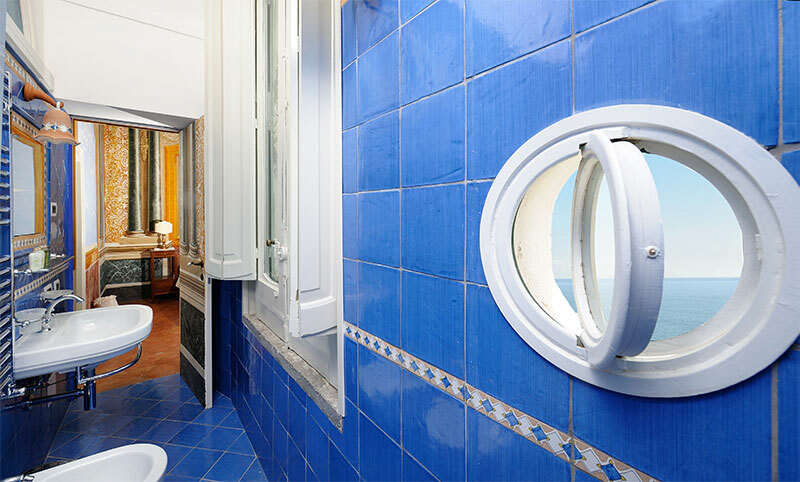 On the second floor, there is an elegant finished attic, with a double bedroom, bathroom, kitchenette and a small private sea view terrace. On the lower floor, there is a spacious dining-room, modern kitchen and a bathroom with shower. 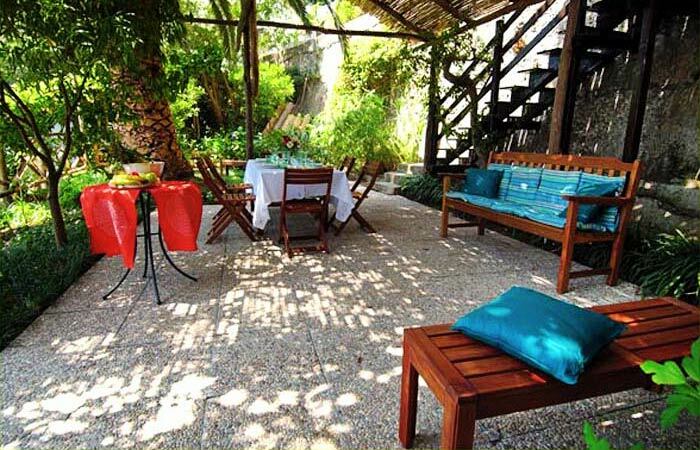 From this floor, you enter the villa's garden-terrace, furnished with tables, chairs and sun-loungers. 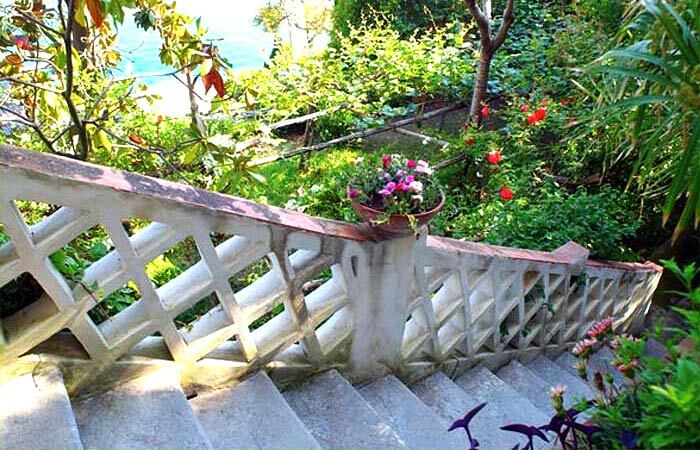 The villa is surrounded by a splendid park full of flowers and, in common with other three houses, has access to the sea (about 120 steps) and a bathing-platform. 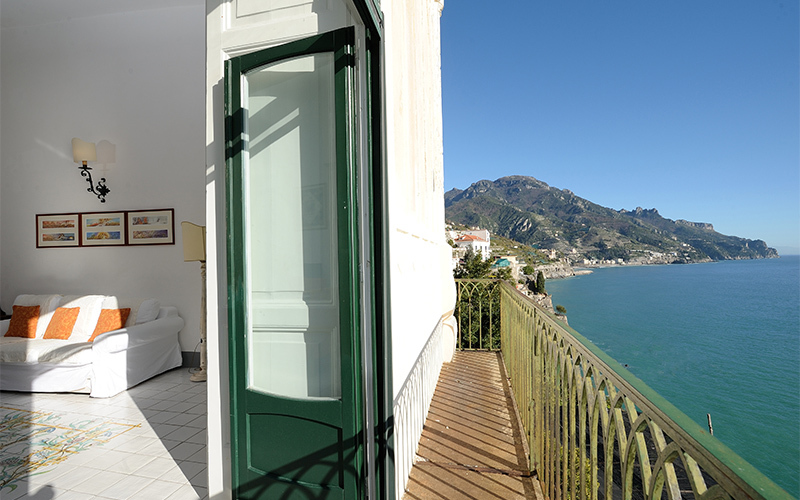 Parking is available at the daily rate of Euro 20,00. 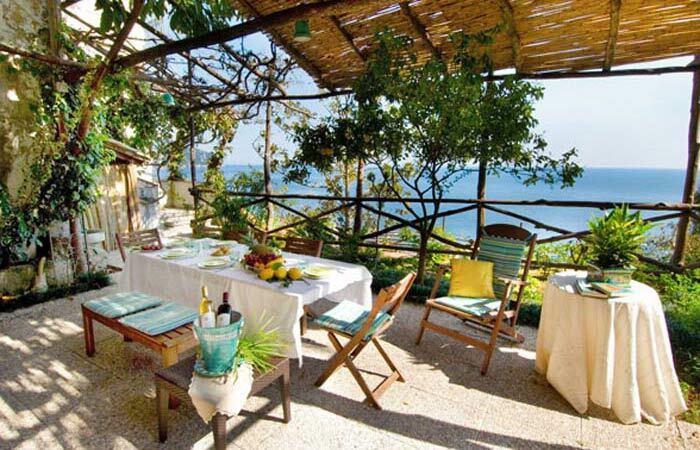 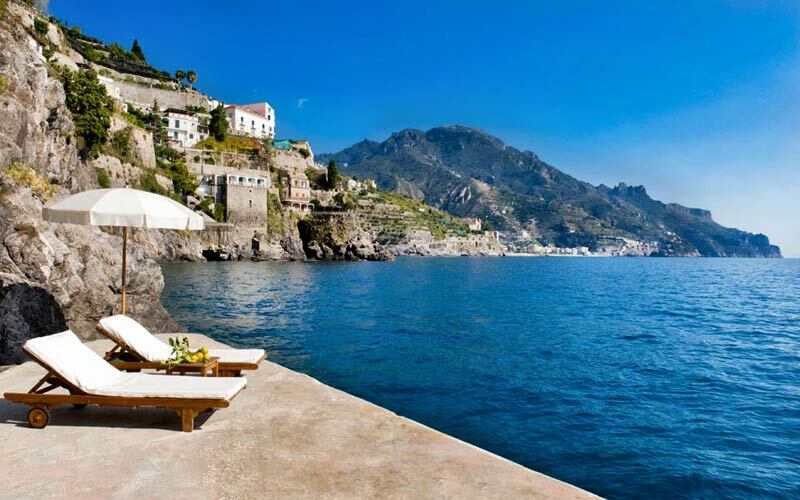 Villa Principessa is located in one of the most scenic and beautiful areas of the Amalfi Coast, Marmorata. 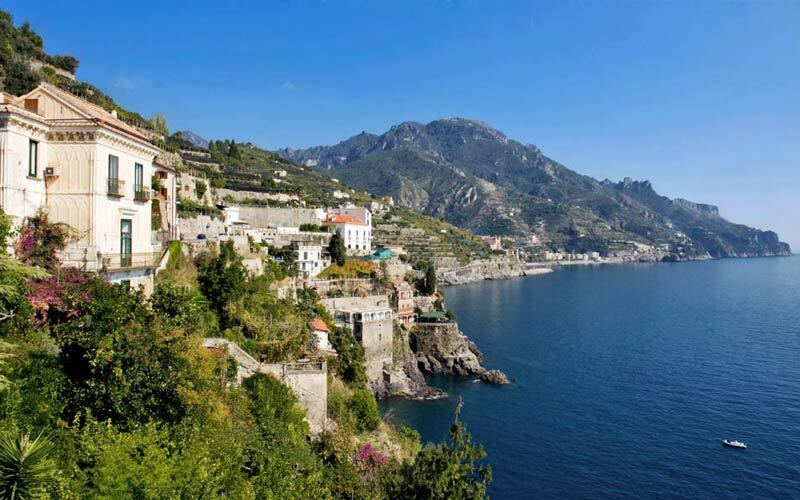 This is the area of Ravello nearest the sea and a strategic location for visiting the town of Amalfi, just 1.5 miles/2.4 km away (between 7-8 minutes by car or bus from the stop located a few meters from the villa). 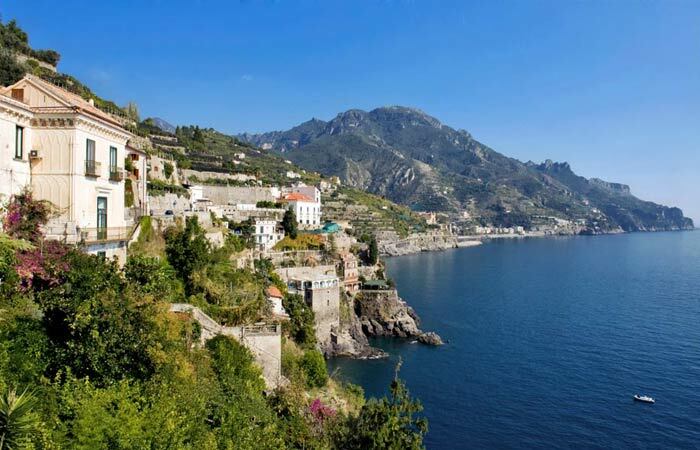 Though Amalfi is the most important public transportation hub along the Amalfi Coast, guests can also take ferries for Capri, Amalfi and Positano from Minori, a charming village just a short walk from the villa (10 minutes) or 2 minutes by car/bus. 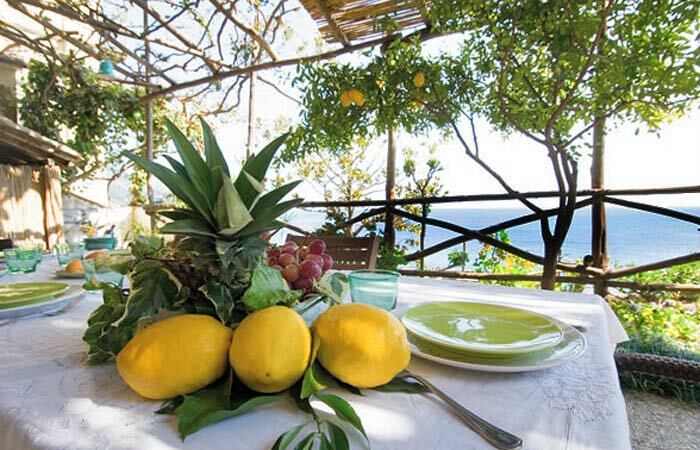 Minori also offers restaurants, sandy beaches, grocery stores, and shops. 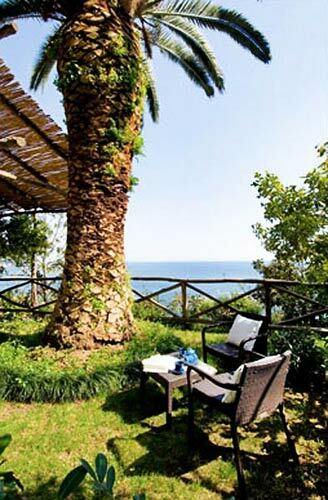 Because of its central location, the villa is a perfect base for visiting any of the coastal towns, plus Pompeii and Hercolaneum. 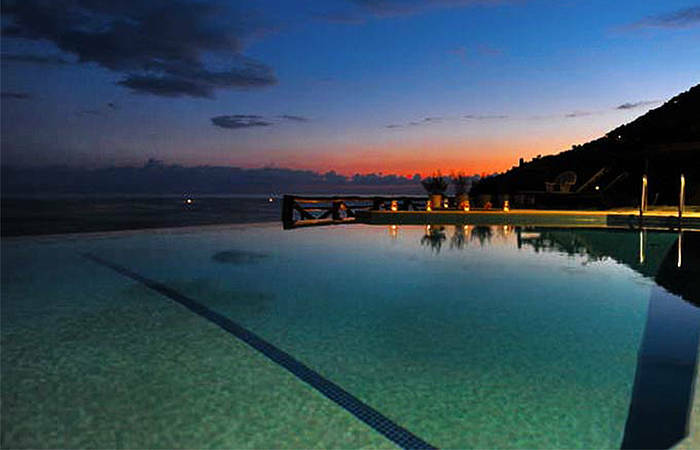 Please click here if you wish to know more about Minori. 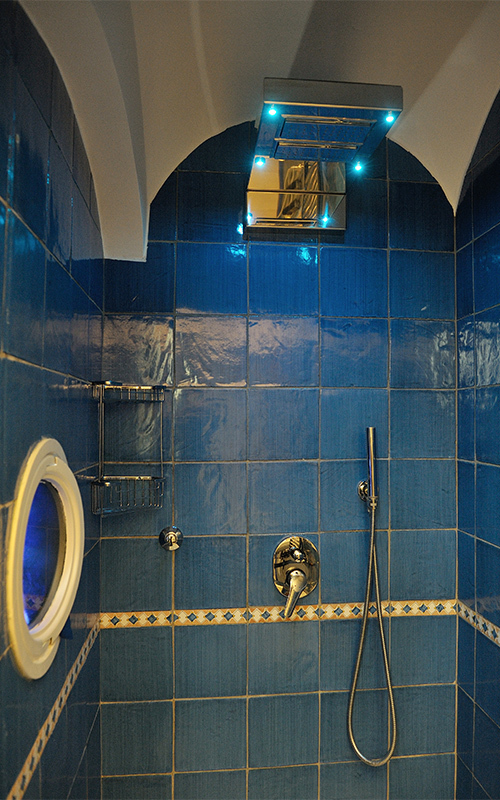 Staff available daily from 9:00 a.m. to 8:30 p.m. 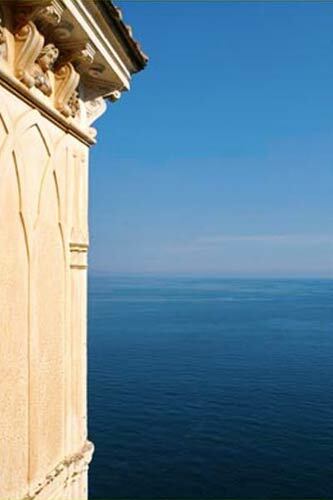 Bus stop: 20 meters/21 yards.